The United States Department of Agriculture’s Food Safety and Inspection Service issued a public health alert over concerns about Cyclospora, a parasite that causes intestinal illness. Cyclospora infects the small intestine and usually causes watery diarrhea. Other common symptoms include loss of appetite, weight loss, stomach cramps/pain, bloating, increased gas, nausea, and fatigue. Indianapolis-based Caito Foods LLC distributed beef, pork and poultry salads and wraps to retailers that may have been contaminated. 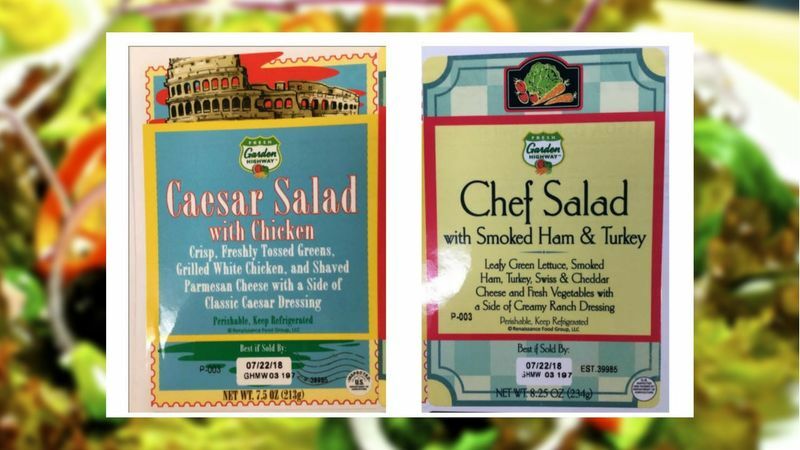 Caito Foods learned of the problem when it received notification from its lettuce supplier, Fresh Express, that the chopped romaine used in some of their salads and wraps was being recalled. Federal officials are urging consumers who have purchased these products not to consume them and to either throw them away or return them to the place of purchase. The list of recalled items includes: RFG-Trader Joe’s Caesar and chicken salad, RFG Trader Joe’s Chinese chicken salad and RFG Trader Joe’s tarragon chicken wraps. The complete list of recalled items can be found here. Just say NO! to romaine lettuce. Not surprising. TJ’s quality is over rated. If you read the labels on their branded stuff, there are a lot of undesirable things in them.